Beautifully remodeled 2 bedroom 1 bathroom located in Valle Hermosa. Home is a spacious 827 Square feet and sits on a 3920 square foot lot. 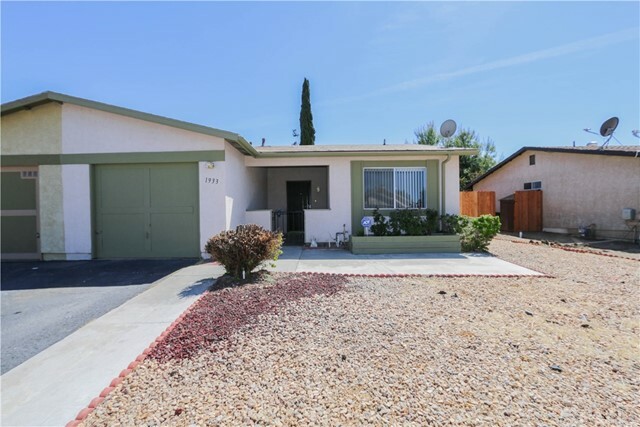 Home has been recently upgraded with beautiful light, distressed wood flooring throughout the home as well as new, complementing paint throughout. Upon entering this home you walk into the large open living room, looking directly into the fully landscaped back yard, complete with covered patio and newer wood fencing. The Eating area is to the left and flows right into the kitchen. Kitchen has brand new counter tops to complement the new flooring and paint. There are 2 bedrooms, one at each end of the hallway, both with large closets and ample space. The back bedroom features an additional sliding glass door to the back patio. The bathroom is located in the hallway and features a large shower/bath tub combo and a large sink vanity. There is additional storage with built-in cabinets at each end of the hallway as well as the attached 1 car garage.